The tower desktop is finished. It had a long run, and has survived all kinds of threats--laptops, gaming consoles, netbooks, countless pundits like myself proclaiming its end. But seriously this time: it’s done. And ironically, the tower desktop got put down by a PC that actually sits on top of your desk. 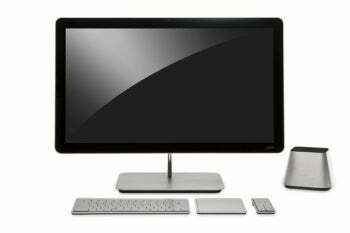 In 2011, all-in-one desktops went from being a novelty to becoming a palatable product category that served up a strong value and great performance in a compact case. So here’s my prediction for 2012, and the next few years: All-in-ones will be everywhere. You'll still find a few towers haunting store shelves. And they may even seem like a good deal--say, $400 for a 1TB hard drive, 4GB of RAM, and some middle of the road CPU from AMD or Intel. Pair that with your monitors and an existing set of keyboard and mice, and you’ll have a perfectly serviceable PC. And also a relic of a bygone age. Some of us need to tinker inside of our machines: Gamers like myself will still need giant cases for our graphics cards and liquid-cooled CPUs. Professionals will need workstations, and businesses will need machines that can be upgraded or repaired en masse. Drab black boxes will remain a mainstay in the corporate environment--for a little while longer, anyway. But all-in-ones are the future. The average consumer just wants something that works, and works well--and it never hurts if it looks good or takes up a minimum amount of space. All-in-ones hit every single point with aplomb. Intel and AMD have helped speed up the shift toward all-in-ones by producing smaller, faster processors that cut down on power consumption while ramping up performance. The coming year will be no different, with Intel’s Ivy Bridge and AMD’s Piledriver paving the way for ever-thinner, ever-sleeker machines that don’t compromise on performance. 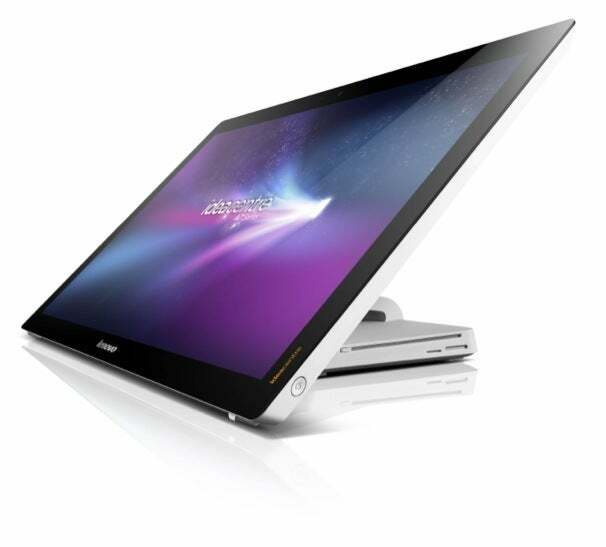 Lenovo's IdeaCentre A720 folds down flat to make it easier to use its touchscreen. And then there’s touch. With Windows 7, you can shun touch completely and get along quite nicely. Even Windows 8 will allow you to stick with the traditional Windows desktop. But more and more applications are being developed with touch in mind, and Windows 8 will be an Everywhere OS--application developers who don’t ship finger-friendly wares will suffer. But even if you do hate the thought of tapping away at your PC's screen, how does a massive, gorgeous display sound? Or getting rid of the rats nest of cables under your desk, and tidying up a bit? Or having a PC that’s actually worth showing off--a fairly priced workhorse that’s a joy to turn on, that feels a little bit like the oft-promised future? All-in-ones can offer all of that. But don’t take my word for it. Outside of the usual suspects that litter the Performance desktops category, you’d be hard pressed to find a manufacturer trying to show off a boring box in a sea of shiny, touchable tablets and smartphones. I’ve said this time and time again: I love my desktop, a work in progress I’ve been tinkering with and upgrading for years. But most users just need a machine to host their photos, stream their movies, and play the occasional video game. All-in-Ones fit the bill, and do so in style. They’re here to stay, and I wouldn’t have it any other way.